The New Ballet Ensemble & School's beautifully renovated 14,500 sq. ft. studios serve as a community center for the arts. Studio space is available for rent to other community organizations when schedules permit. Located in Midtown's Cooper Young area, the gleaming contemporary facility designed by Michael Walker is an excellent and affordable place to hold community meetings, parties or other events. 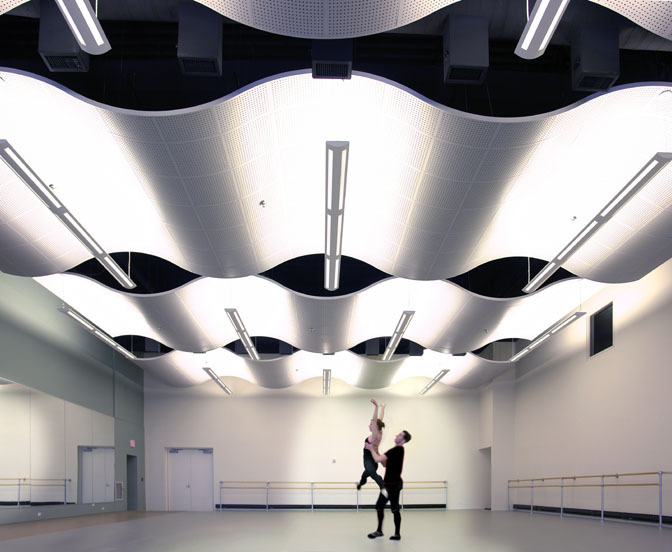 All proceeds from facility rentals go towards scholarships in the New Ballet School. The facility provides secure parking, three studios with professionally sprung floors, a lobby area ideal for small receptions or event check-ins, ample restrooms, and catering facilities. Please contact New Ballet at 901.726.9225 for more information. Give your child a ballet or hip-hop dance party at New Ballet! These unique festivities feature 45 minutes of ballet or hip-hop instruction with dancers from the New Ballet Ensemble. And everybody dances! Parties are available Saturdays after 4PM and all day Sundays. Fee is $200 for a maximum of 15 children ages 5 – 15. 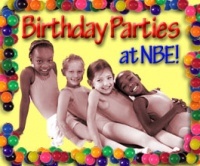 Call Kathy Coburn at 901.726.9225 to book your next birthday party at New Ballet.